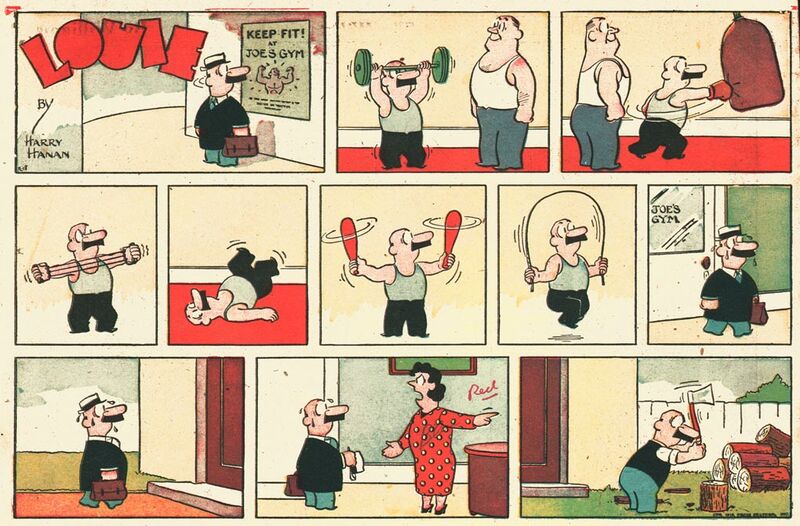 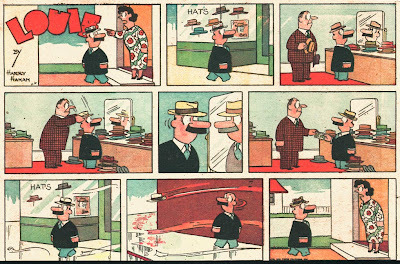 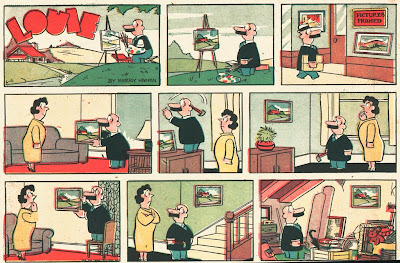 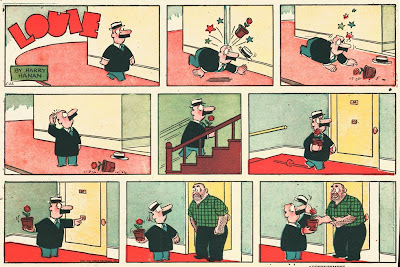 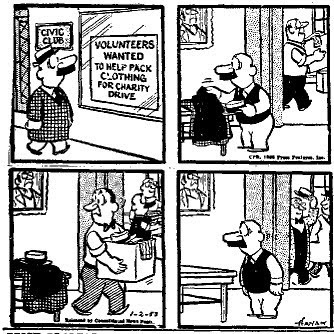 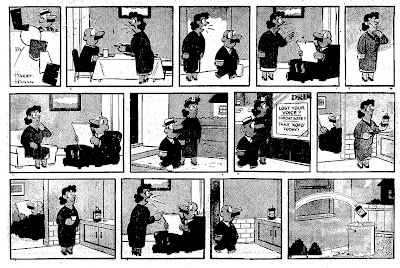 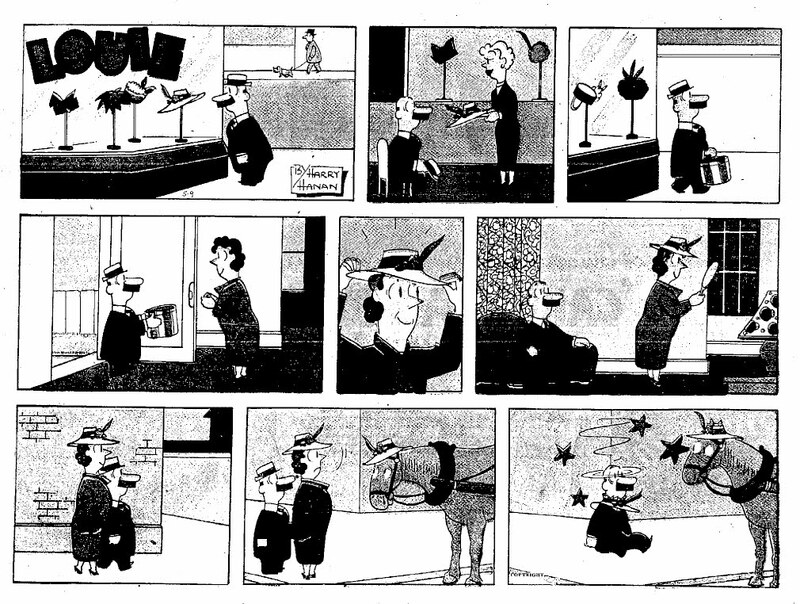 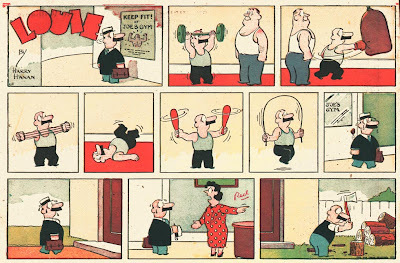 Some more of Harry Hanan's great silent strip Louie today. 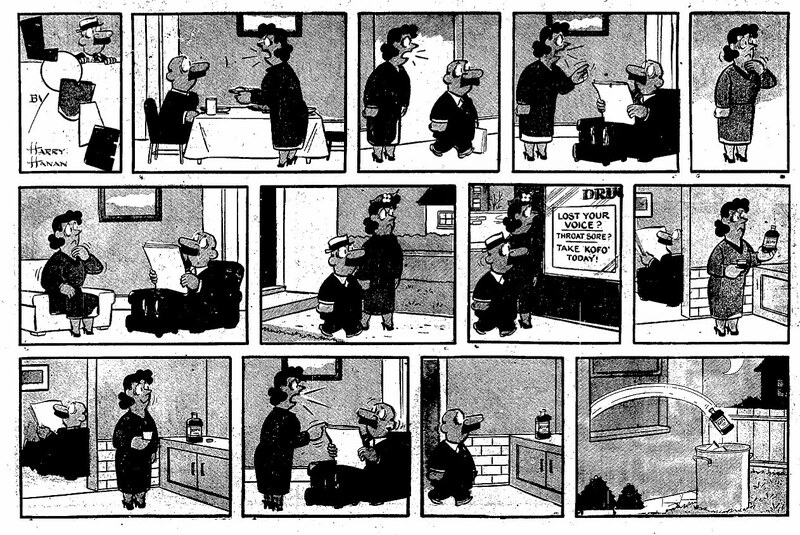 The first run is from 1953, the Sundays after that from 1948/9. 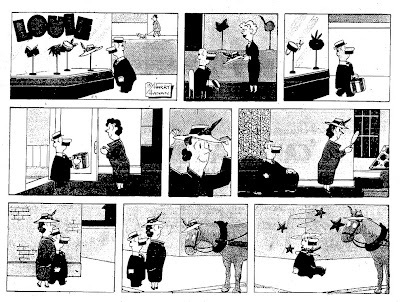 I dedicate the second color Sunday to Luc Cromheecke, who does a terrific silent strip called Plunk, which all of you should check out (I understand it's even available for the iPad or iPhone, although that may be only still be in an Arabic version). 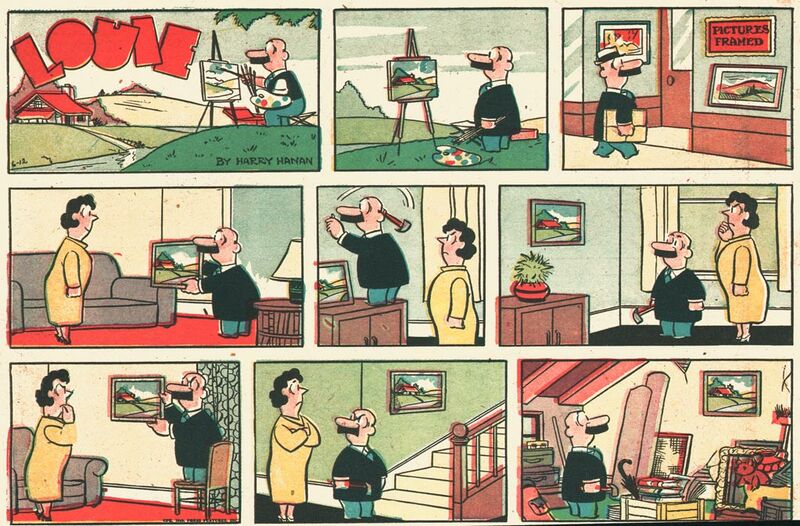 Luc dabbles in painting as well, so he'll recognize the joke. He can hang his stuff in my house anytime.